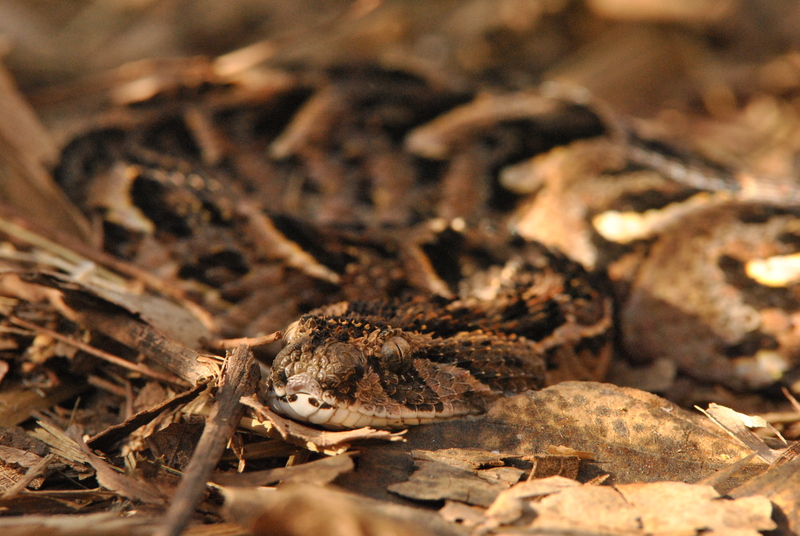 Wild dogs, snakes, lions and elephants, oh my…. 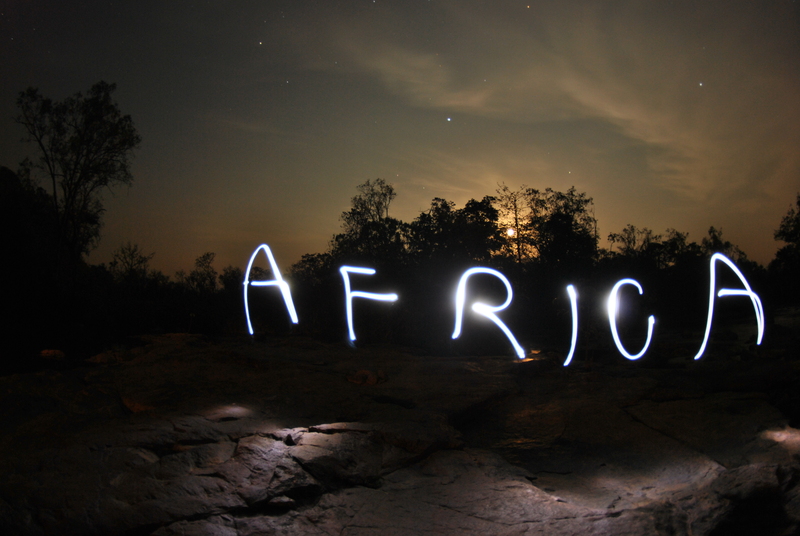 Back in the states from Africa unexpectantly. The trip did not go as planned, to say the least. I have returned home with pain under my rib and deep in my abdomen. Tests revealed I have gallstones and need a surgery to remove the gallbladder. Despite having to leave Africa when I had two big expeditions planned- 1, a walk through a large secondary forest in the south-eastern wilderness of the Central African Republic, and 2, a long journey into Kaokoland and Damaraland, in Namibia- having to return for this procedure is actually a blessing in disguise, as my symptoms have been getting worse since returning state-side, and having an event- like a bursting gallbladder- in the wilderness of either of these adventures could have been fatal, or at the least, very painful and expensive to evacuate. Also, the situation in CAR is not the best, with fighting now starting within the civilian population in a near, out-right genocide. Despite all this, the situation is stabilizing slowly, and The Chinko Project will be up and running fully soon, and implementing their anti-poaching mission in our little patch of Eden. This year, I heard lion roaring for the first time in two years in the area, and even herd hippo as well. I found tracks of both animals at different times. I had an unusual amount of reptile encounters this year: I saw a large Egyptian cobra for the first time ever- multiple Mozambique spitting cobra- and a rather close encounter with a 9 foot + black mamba that reared up head level at our 4×4 truck when we drove past him. 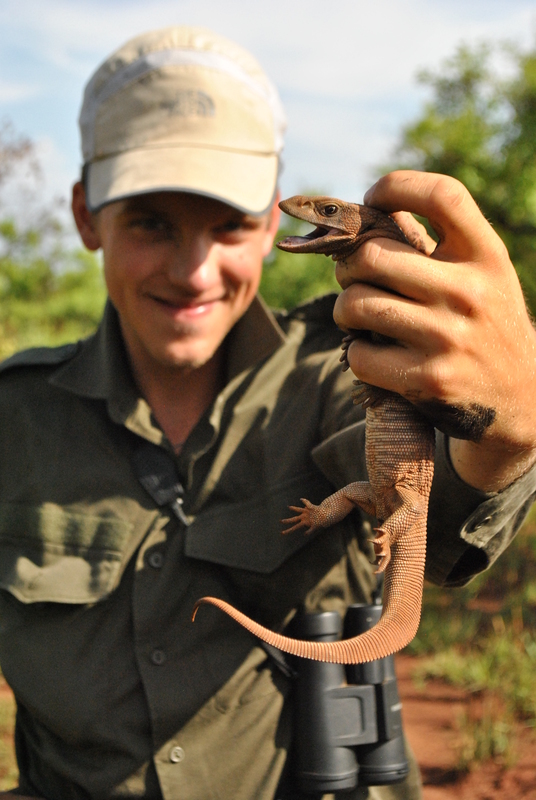 I also managed to catch a juvenile savannah monitor lizard for the first time. I went on one short backpacking stent, during a survey for a new road close to the Chinko river. Allen and Charles, two of my trackers, accompanied me. During the trek, we found a large swamp in a forest, full of all kinds of bird species. In this forest, we found numerous bongo sign- some of the most densely packed sign I’ve seen anywhere. It was in this very forest, we heard elephant trumpeting in the night after we had made a fire! They must have heard or smelled us, and escaped the forest with loud roars. The experience was exhilarating; especially knowing that a few of the mighty animals have survived the numerous AK47 toting Sudanese poachers who are still infiltrating the area in the hoards. In December, me and my road workers stumbled upon a pack of wild dogs one day. We pulled into a forest to have lunch, and were frightened by the sudden barking from all around us. In our search for shade from the midday sun, we had blundered on the dogs who were also seeking the same patch of shade. A quick investigation revealed a den site with new puppies in the vicinity. I gave the GPS coordinates to the researcher, Theirry Aebischer who was working in the area. 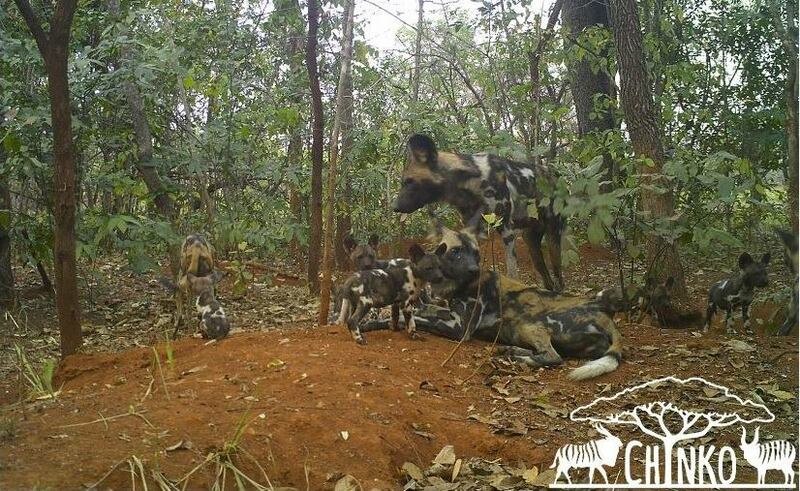 He put up camera traps shortly there-after, and captured these incredible photos of puppies! To top off my animal encounters this year: One morning, in a bright patch of green grass in a wooded area, I caught sight of an animal running toward a forest. Pulling up my binoculars, I could clearly identify the animal, for a good two solid minutes while he loped to the forest. Against all odds, and certainly being one of the only westerners to see one in the wild- I was watching a rare Golden Cat! The wilderness of central Africa is full of surprises, and I can’t wait to see what surprises await me next season. Until then, its off to the Montana mountains again, to resume my ultra-marathon running. I have 4 races planned for 2014.